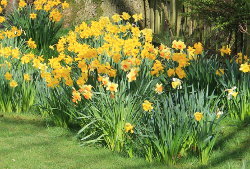 We hope everyone had an enjoyable Easter - we all seemed very lucky with the weather. Once again we've added some interesting new stock pieces to our website this past month and have been out and about checking out Antique Fairs. With the summer months fast approaching the outdoor antique fairs and car boots are proving to be very popular especially with the current mild weather. An early and lovely PenDelfin Father mouse, a very desirable PenDelfin Millennium Queen & Flunky Rabbit all with its original packaging and box, and a superb PenDelfin Picnic Table with its original PenDelfin Studios PICNIC TABLE stamped box. If you're looking for something specific then have a look at our VIEW ALL OUR STOCK page, where you can see pictures of every piece of pottery and all the collectables we currently have for sale - making it very easy to spot that particular item! This month our special offer item is this lovely PenDelfin Kipper Tie Father rabbit. This PenDelfin rabbit was designed by the fabulous and very talented Jean Walmsley Heap. Click here to read details about this special offer which is valid for this month only, May 2014! Remember, check before travelling to any antique event that it's still scheduled to take place. If you know of any Antique Fairs or Antique Centres you think are worth visiting let us know and we�ll tell everyone about them. If you're a fair organiser and would like to list your Antique Fair in our Newsletter then do please get in touch. That's it for May, we'll be in touch again next month with more antique fair dates for your diary, special offers and some new pieces of pottery and collectables for sale.